Kent State University professors David Kaplan and Jennifer Mapes have undertaken a study to understand how academic research in the field of geography has evolved in the United States. Prior to their research, most academics didn’t even know how many dissertations had been written in the field of geography. 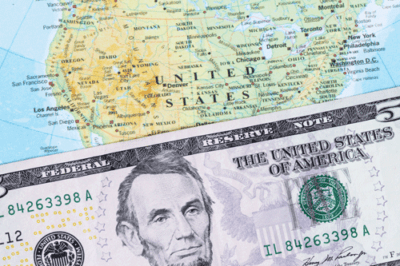 Kaplan and Mapes study reveals how the field of geography has evolved since 1888. For example, why the introduction of more quantitative analysis and spatial science in the field of geography was first approached in textbooks in the 1960s, that practice was adopted in dissertations until the 1970s and early 1980s. The diversity of universities offering degrees in geography has also increased tremendously. In the 1920s only about thirteen institutions offered a geography program with only 97 doctoral degrees being awarded. In the 2000s there were 3,238 degrees awarded from 75 different institutions. About 300 dissertations are awarded each year on average. The prominence of institutions have also changed greatly. The University of California at Santa Barbara which has a highly ranked geography department, didn’t award its first geography PhD until the 1980s. In contrast, the University of Michigan and University of Chicago, which once were dominant programs no longer offer dissertations in geography. 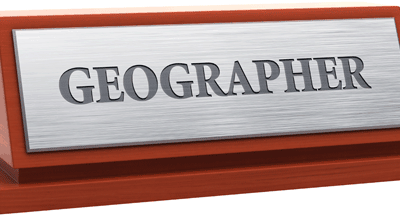 The results of Kaplan and Mapes’ work will be published in several articles starting with the first article in Geographical Review early next year. 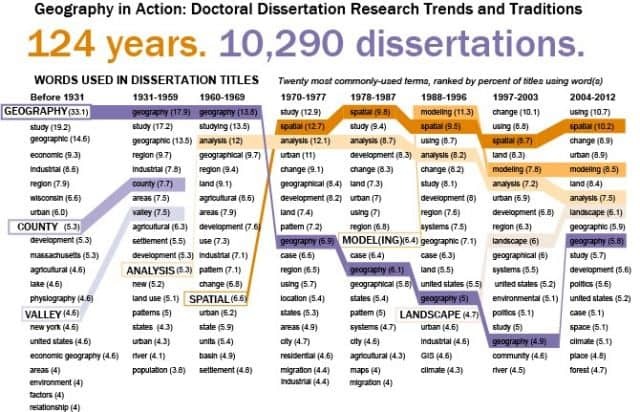 More: Tracking a Discipline’s Evolution: Geography professors compile database of dissertations to analyze changes over time. Inside Education.